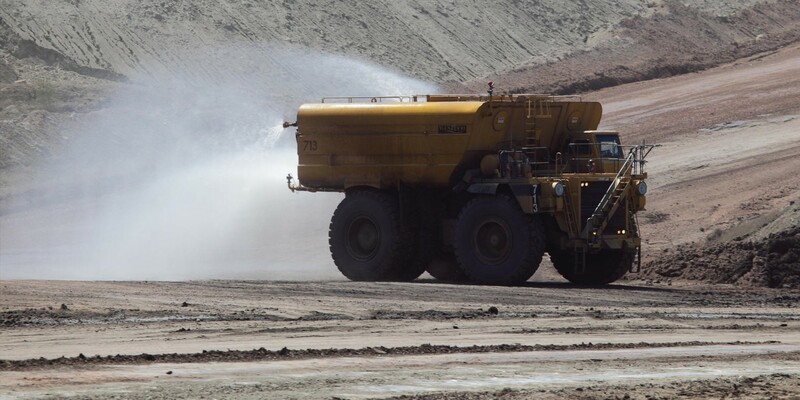 “Australian headquartered dust and erosion specialists, GRT deliver eco-friendly and dust control solutions to two key projects in the UAE”. A joint venture between GRT International Limited and Sharjah Investment and Development Authority has unfolded, solidifying GRT’s foundation in the United Arab Emirates. Sharjah Investment and Development Authority locally referred to as Shurooq, is the driving force behind the transformation of the city, Sharjah. Shurooq’s two key projects, the Mleiha Archaeological Centre and Kingfisher Lodge Ecological Resort Project, required aesthetically sensitive and environmentally friendly materials for constructions. GRT’s unique specifically formulated products were critical in creating high quality, eco-friendly infrastructure for each project. The Mleiha Archaeological site project has been nominated by UNESCO as a World Heritage site, reflecting the rich archaeological and cultural heritage of the area. GRT was appointed by Shurooq due to their expertise with innovative products and solutions for sand stabilization, erosion control, agriculture and land development. GRT General Manager, Daniel Grundy says that the firm’s proven ability to deal with difficult conditions associated with protecting environmentally sensitive areas and historical archaeological sites meant positive outcomes for the Mleiha project. According to Executive Chairman Marwan bin Jassim Al Sarkal, Shurooq is leading the continued transformation and economic diversification of the emirate. “Shurooq strives to create a business-friendly environment in Sharjah by identifying new investment opportunities across different sectors, developing breath-taking destinations and managing some of the emirate’s most recognisable landmarks,” His Excellency, Al Sarkal. The Mleiha Archaeological and Eco-Tourism Project is one of the region’s most important natural history site and gives visitors an opportunity to experience the history of Emirati life. Situated on the east coast of Sharjah, five-star eco-tourism hotel, Kingfisher Lodge Ecological Resort is the first of a unique group of luxury lodges and boutique hotels that focus on preserving UAE culture, heritage and environment. Located in Kalba’s protected Mangrove area, Kingfisher Lodge required an eco-friendly solution to maintain the elements of the natural road around the resort. GRT’s sustainable, environmentally friendly technology enabled the project to have minimal impact on the natural environment. As a partnership between the Sharjah Investment and Development Authority and Mantis Collection, the Kingfisher Lodge project aims to preserve and maintain the natural surrounds. Global Road Technology gives His Excellency (HE), Marwan bin Jassim Al Sarkal, credit for his vision in utilizing GRT as an innovative technology partner on major projects in the United Arab Emirates. Both the Mleiha Archeological and Eco-Tourism Project and the Kingfisher Lodge Ecological Resort have been opened by the ruler of Sharjah, His Highness Sheikh Dr Sultan bin Muhammad Al Qasimi, Member of the Supreme Council Ruler of Sharjah. GRT is honoured to have exported its products from Australia to the United Arab Emirates and assisted in the preservation of the UAE’s historical and environmental sites. GRT is an international, engineering technology company focusing on providing innovative products and solutions for the mining, civil, agricultural, resources, land development, and environmental management sectors. GRT’s industry leading technology is proven to drive process efficiency, deliver sustainable infrastructure outcomes, and improve community health, safety and environmental outcomes.